Examine: How is the main character’s gender and environment presented? What colours are used in the picture book? Pink, light blue and black? Is the main character drawn with an expressive face? 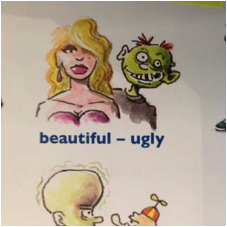 Do the pictures in the book hint in the direction of one of the genders? 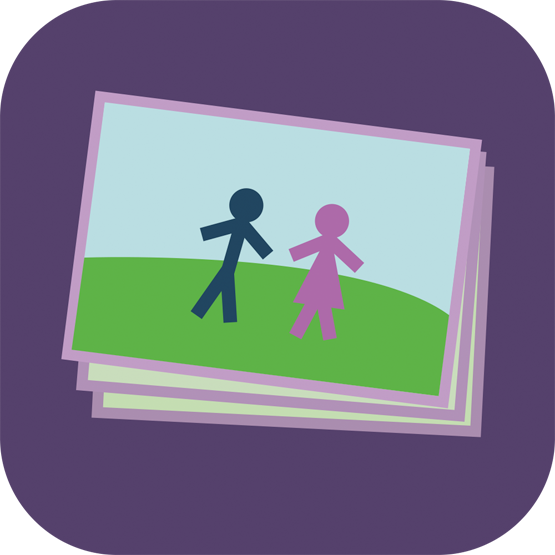 The analysis strategy we call the picture reader uses visual competence to read the pictures in the book, and to demonstrate how the pictures contribute to the book’s presentation of gender. Picture books have text and pictures, and it is often through visual conventions, caricatures, colours and styles that gender patterns and gender norms are expressed. Which gender patterns do the pictures in your picture book signal? The gender patterns in the pictures in commercial picture books are often quite clear, and a picture analysis of these therefore has much to tell us. For example, consider the front page of Lego City Police and Disney’s Ariel. 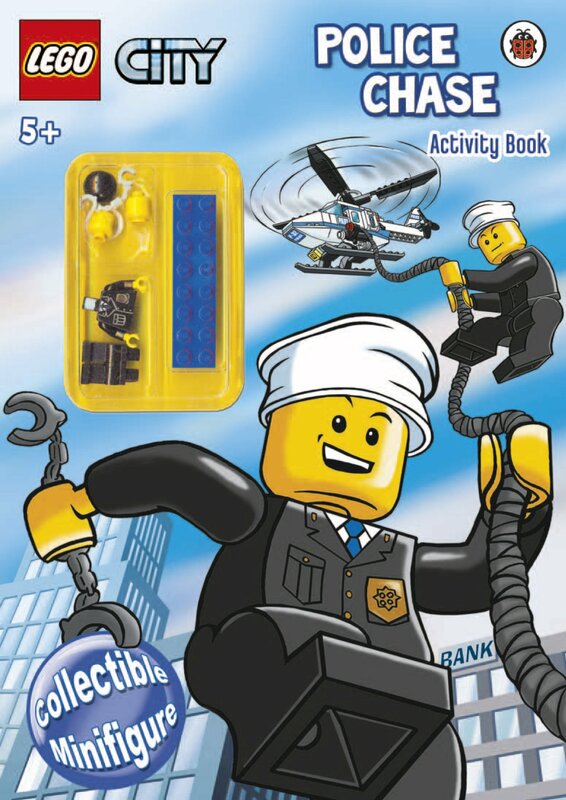 Lego City Police is a leaflet/picture book with tasks and stories about how the police attempt to catch the thief. 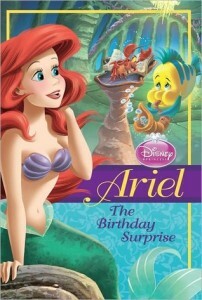 Ariel by Disney is a picture book based on H.C. Andersen’s fairy tale about The Little Mermaid. The Lego City front page is full of movement and action, with a perspective from below at an oblique angle and a police officer who is running. The Ariel front page conversely features calm and femininity, created with soft billowing lines and soft colours that seem to blend into each other. With bare skin, smiling large eyes and Ariel’s facial expression, closeness and intimacy with the reader are created. Drawn with small eyes and a crooked smile, the police officer’s emotional expression is not in focus, but rather is action of catching the thief is. His black uniform and the sharp edges of his body against the light background signal hardness and strength, an image not lessened by his holding on to the rope from the helicopter with one hand. Both front pages, in particular Lego City, are rich in objects and symbols with gendered associations: Helicopter, handcuffs, skyscraper and a bank building. The objects may reinforce the impression that stopping thieves is part of the male sphere. Techniques based on gender norms which we recognise from other commercial picture books are conspicuous on both front pages. Books about princesses and baking commonly have their own design language with pink and purple, billowing lines and large eyes. This signals that the content is soft and feminine, and creates emotional proximity. The Lego City front page is fully in accordance with aesthetics based on gender norms which primarily address boys with stories about superheroes, pirates and vehicles. Dark blue, black and strong contrasts are often used to signal masculinity and muscles, and small eyes signal readiness for fight. How is the gender of the boy/girl drawn? Why do we think it is a boy or girl? Size, form and colour. Which colours are used on the main character and in the book itself? (Pink, blue, black). Eyes, facial expression and body language. What does her/his body language signal? (Closeness, distance, resistance.) Does the main character have a mouth that speaks or is it silent? Clothes, anatomy and bodily attributes. Which impressions do these create about the girl/boy? (Beautiful, ugly, dangerous, strong). Environment. How is the main character’s environment depicted? (Friendly, hostile, chaotic). Is the boy/girl a disruptive visual element in an otherwise harmonious environment? 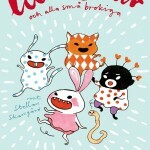 Consider for example the book Kaninkostymen [The Bunny Suit] (Gustavsson 2008). Victor has no more clean clothes, so he comes to preschool in a pink bunny suit, and is bullied by the bigger boys. As the main character in the pink bunny suit he represents a contrast to the colourless and inhospitable environment in the preschool. Symbols and objects. Which impressions do symbols and objects in the picture book give? (Heart symbol, hair, cars, vehicles). A more detailed introduction than given here may be found in the text by Mia Österlund (2012), which is the origin of these points. Gunna Gähr’s book/presentation (2012) may also be useful. Does the picture of the main character break with gender norms? How a main character is drawn and designed is often a key element in deciding whether a picture book expands or confirms traditional gender norms. Traditional gender norms can be expanded in many ways, where gender role switches or crossdressing are by far not the only ones. The main character can also expand the space for how to do gender. At the turn of the century several social scientists claimed that the football player phenomenon David Beckham expanded and reinterpreted the space for what masculinity implies. Beckham was described as the foremost representative of a new male sexuality, called metrosexuality (Gauntlett 2002). The core element of this reinterpretation, beyond his popularity on the football field, was his external appearance, i.e. the depiction of his persona. Not only did he appear as well-groomed and with middle length hair. To the external world he always appeared to be perfectly groomed, always with new clothes and new styles. The reinterpretation was more about the fact that he appeared to be openly interested in his own handsomeness and external appearance. Many men avoid appearing to be vain, fearing to be interpreted gay or feminine, but in his identity design Beckham did not create heterosexual markers like this. This ambiguity appeared to reinforce the perception of his masculinity. 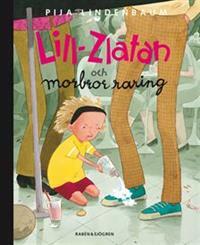 In Lill-Zlatan och morbror raring by Pija Lindenbaum (2006), another popular football hero, the Swede Zlatan Ibrahimović, contributes to the design of the main character’s expression of identity. The main character in the book borrows the name of the footballer, Little Zlatan, and we can see from the front page and inside the book that Little Zlatan has a conventional boyish style, with longish hair and a hairband in the style of Zlatan. Little Zlatan appears to be a boy, but those who have read other books by Lindenbaum will recognise Little Zlatan as the girl Ella. Perhaps with her design of the main character here Lindenbaum makes it easier for individuals such as Ella to completely take on the identity of their football hero even if the hero has the opposite gender (Österlund 2013). The use of perspective, depiction of body posture (standing, sitting, leaning forward) and the illusion of movement may also contribute to completely changing the perception of the main character’s gender. Many Norwegian readers have an impression of Mrs. Pepperpot from the stories of Alf Prøysen as the firm and good-natured farmer’s wife, but many Swedish readers have an impression of her as quick, rebellious and childish. The difference in reception of Mrs. Pepperpot is due to the different illustrations, Borghild Rud in The Norwegian editions and Bjørn Berg in the Swedish and English editions (see for example Prøysen 1958, 1960). In the various stories she shrinks when she least expects it to the size of a teaspoon. In her transfiguration and with the assistance of children and animals she will solve small and big problems at the farm and in the district. An analysis (Lassén-Seger and Skaret 2014) shows that the difference in pictures make us perceive the character and her gendered persona very different, even though the text and storyline is identical. Is the gender picture one- or multidimensional? Another way artists and illustrators can expand the traditional gender norms is to display contrasts and widely different ways of doing gender, Mia Östersund, the picture book researcher, writes (2013). She refers to the main character Liten [Little] in Stina and Carin Wirsén’s series Mange fargerike små og liten rosa [Many colourful small and little pink]. Little is designed with a billowing dress and a cute hairstyle. In another picture where her mouth is open, we see that she has pointed teeth. This character combines the cloyingly sweet with strong-willed danger. Österlund sees the character in relation to the phenomenon “girlesque”, the fusion of burlesque and girl. Girlesque is described as a monster femininity which adores, exaggerates and breaks with traditional feminine qualities. Girlesque expressions can particularly be found in fiction for girls and youths with aesthetic vampires, and also in the Barbie-like innovation Monster High. Monster High dolls also borrow parts of their expression and aesthetics from horror films. The degree to which these representations are ironic about traditional femininity and break with this is debatable. What do the colours pink and light blue mean? Colours such as pink and blue have gendered associations, and an analysis of colours and pictures in the book may therefore be interesting. Pink and light blue often signal a gender dichotomy between feminine and masculine, but the colours may also have other meanings. In her fact book Rosa. Den farliga färgen [Pink. The dangerous colour] Fanny Ambjörnsson (2011) shows how pink is used to present many gender and class expressions. 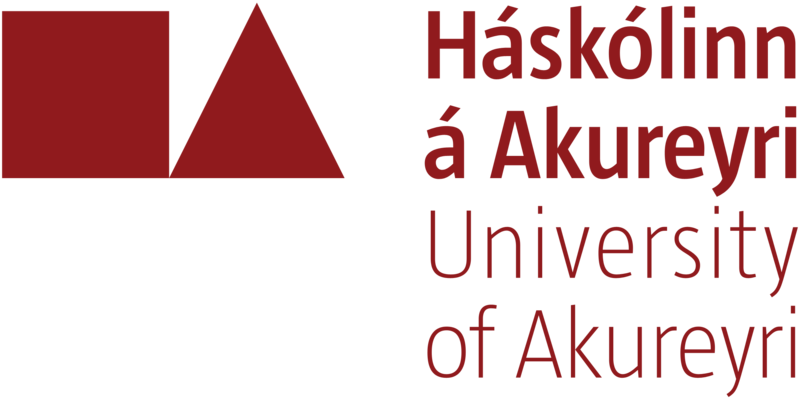 In several picture books (Eriksson 2005, Aarø 2012) the colours pink and traditional feminine qualities are given different meanings. 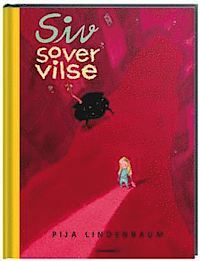 An example where pink, or rather cerise, has other associations is in the book Siv sover vilse [Siv sleeps lost] (Lindenbaum 2009, also translated into Danish and Norwegian). Here the pink and cerise colours represent something spooky, dangerous and exciting. The purpose of these caricatures is to teach the children letters, words and sounds. Therefore they should be amusing and entertaining. 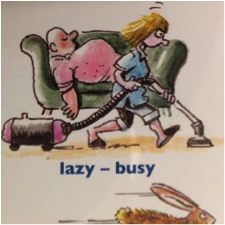 Another obvious aim is that the pictures and characters used should be easy for the children to learn and to recognise. The students award some of the works a passing grade in the equality analysis because they still represent a wide range of different ways to be a boy and a girl. Moreover, pictures and caricatures are highlighted because they have a playful and ironic distance to established gender norms. However, it is legitimate to question whether the repetition of stereotypical icons for small children will still help to set particular qualities to each of the genders rather than releasing them. Are pictures of gender and identities offensive? In children’s literature and cartoons coloured women and men, girls and boys have been portrayed in offensive ways. In text and pictures they have been described as less human, as exotic, different, in need, stupid and beast-like. From the end of the nineteenth century many artists and illustrators have used some standardised ways of depicting persons with other skin colours, often giving readers impressions that they would be men with coal-black faces and broad lips, so-called blackfaces, and girls with ears sticking out, short braids, round mouths with scarlet lips, so-called piccaninnies. Such depictions were indivisible parts of the societies they came from: racial segregation in the USA and the violent and brutal treatment of people from southern regions by colonial powers. 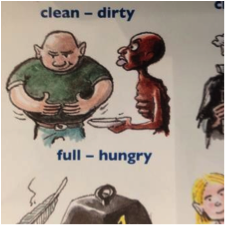 In the web articles #bildskolan Joanna Rubin Dranger (professor of illustration) shows how these stereotypes (blackface, piccaninny, Sambo and golliwog) have also been presented to children in Sweden. Read more on http://feministisktperspektiv.se/2013/08/30/darfor-behovs-bildskolan/. Simplification and caricature are necessary elements in making picture books, Dranger points out (2013-2014). The main problem of the stereotypical pictures is, according to her, that we have seen them repeated so many times that they have formed our impression and knowledge about people with other skin colours per se. In other words, when we duplicate and copy earlier stereotypical icons we help to restrict the general sphere of ideas. 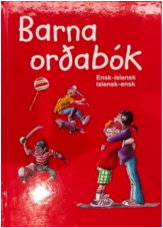 In contrast to what many believe, over time a substantial number of picture books have been made in the Nordic countries featuring girls and boys with different skin colours and origins. Thus any repetition of the stereotypical pictures of the past is not a necessity. Among new titles in Norway we find such books as En fisk til Luna [A fish for Luna] (Aisato 2014) and Samira og skjelettene [Samira and the skeletons] (Kuhn 2014). 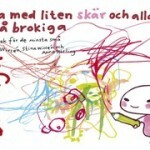 In Sweden, Eva Emmerlin maintains a separate list of published picture books featuring non-white children: http://blogg.skanskan.se/lillabokhyllan/2012/10/31/jag-tankte-paborja-en-lista/. Palasz, Marcin: Lego City: Police Chase Activity Book. Penguin Book, 2011. Prøysen, Alf & Björn Berg: Mrs Pepperpot again. England: Hutchinson, 1960. Gauntlett, David: Media, Gender and Identity: An Introduction. Routledge, London. 2002. Österlund, Mia: Att formge en flicka. Flickskapets transformationer hos Pija Lindenbaum och Stina Wirsén. I Flicktion. Perspektiv på flickan i fiktionen. Eva Söderberg, Mia Österlund & Bodil Formark (red.) 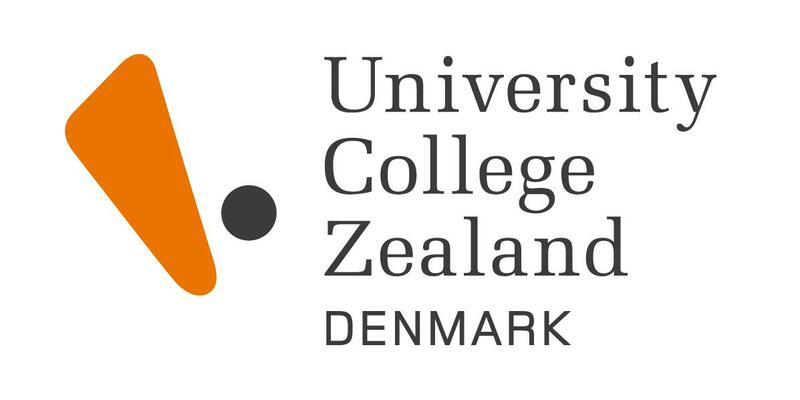 Universus Academic Press, 2013. 168-187. Emmerlin, Eva: Jag tänkte påbörja en lista… I Skånska Dagbladet, 2012. Dranger, Joanna Rubin: #bildskolan. 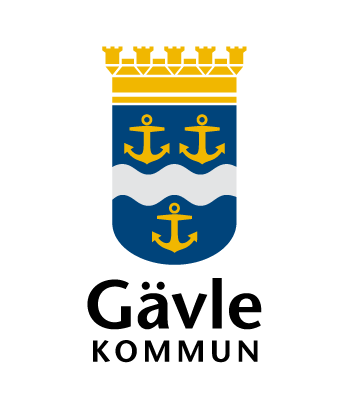 Feministiskperspektiv. Stockholm, 2013-2014.